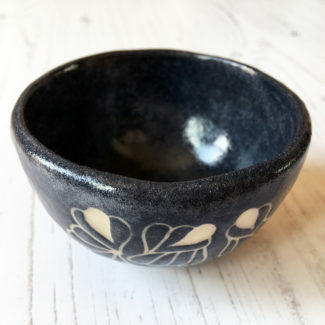 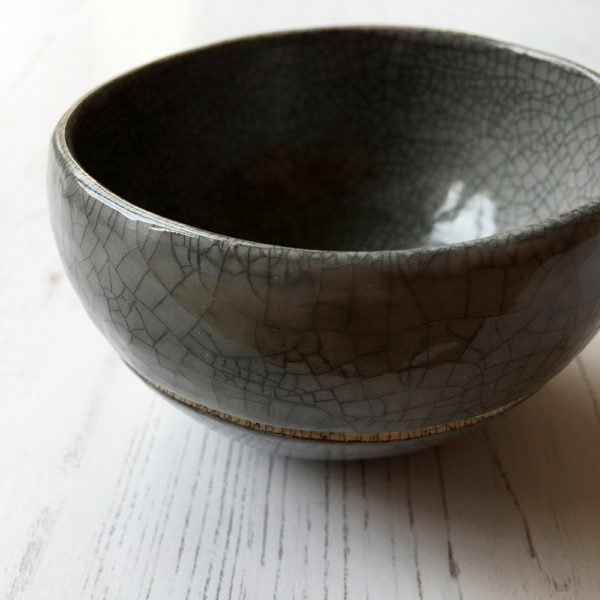 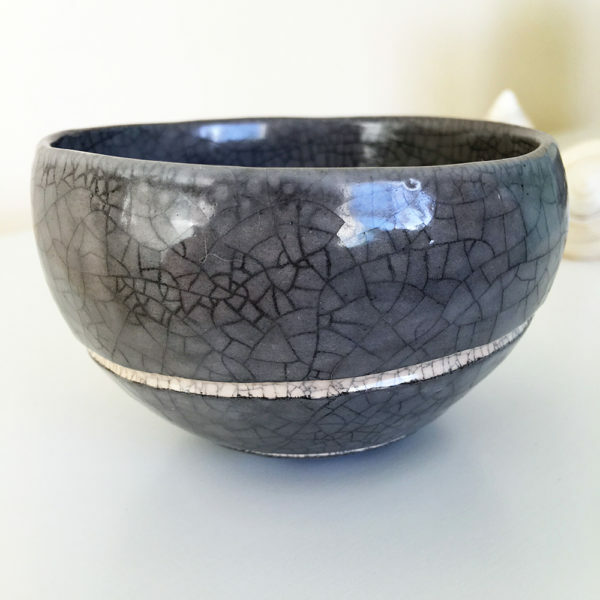 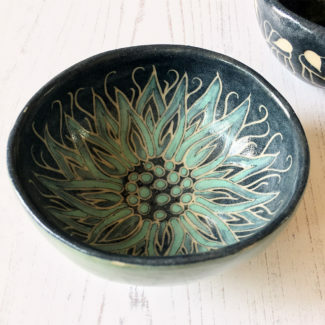 Featuring a gorgeous handmade ceramic bowl (pinch bowl) in slate grey that is just over three inches wide, and approx two and a half inches high. 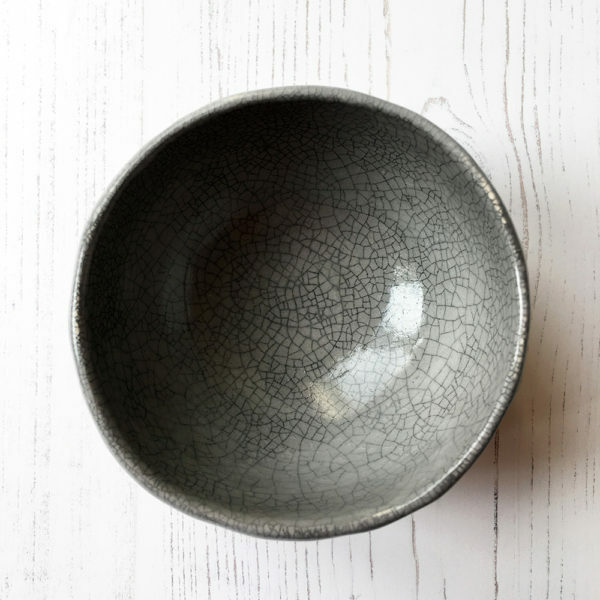 The bowl is completely round underneath (no flat base), which means it rocks gently. 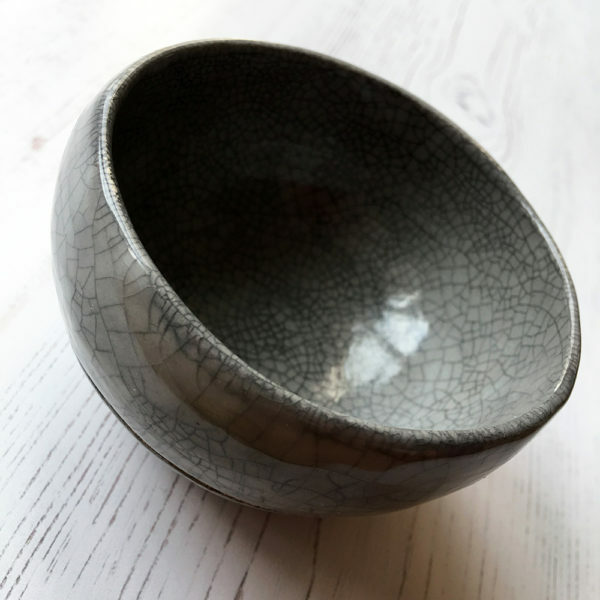 The bowl is made from white earthenware clay and decorated in grey slip, it has two carved bands around the bottom and has a crazed glazed finish, which has been highlighted with Indian ink to bring out the crazing/crackle. 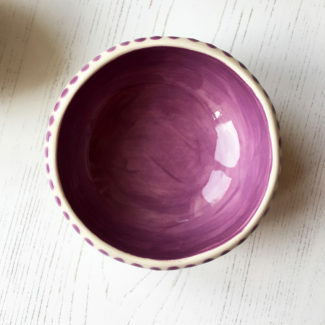 The bowl is for decorative purposes only and not suitable for food.